Steve King is standing by his man. The far-right Iowa Republican took to CNN Saturday to offer assurances that he plans to "stick with" President Donald Trump, despite offering harsh criticism earlier in the week over reports that he is seeking a deal with Democrats to protect "Dreamers." 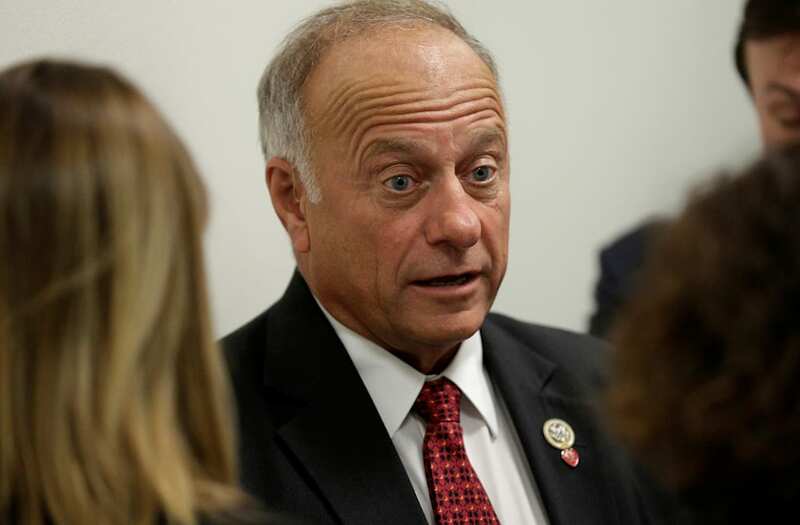 "I'm gonna do everything I can to help him keep his campaign promises," King said Saturday. "That's my commitment." That's a sharp contrast from comments he made Wednesday, when he tweeted that the president's base would be "blown up, destroyed, irreparable, and disillusioned beyond repair" if he cut a deal with Democratic leaders. Trump on Wednesday evening met with House Minority Leader Nancy Pelosi and Senate Minority Leader Chuck Schumer. The president and two top Democrats say they agreed to the "framework" of an agreement on the Deferred Action for Childhood Arrivals program, which Trump has vowed to end in six months. Trump faced backlash from King and other prominent figures in his base, which bashed him as "Amnesty Don." But on Saturday, King seemed to change his tune, saying that it would be "petulant" for him to abandon Trump over one issue. A relentless parade of scandals and legislative failures have done a number on Trump's approval ratings, which haven't even hit the 40% mark since July, according to Gallup. But while a Quinnipiac poll in August showed that support from his base waned throughout the summer, the same survey showed that 76% of Republicans continued to say they approved of his job performance. That eroding, but continued, support of the president mirrors that of Republican lawmakers, who have publicly scolded Trump over controversial moves — particularly the statement he made in August that compared violent white supremacists in Charlottesville, Virginia, to those there to protest them — while simultaneously working to enact his agenda on taxes and health care. Still, Trump's glad-handing with Democrats — along with several public shamings of several of his Republican allies — has reportedly left his party feeling frustrated. King on Saturday suggested that conservatives would continue to back the policies Trump pushed on the campaign trail — even if they don't feel that he's doing the same. "There's a whole lot of things we need to accomplish," King said. "Even if we don't get everything we want, including the president, we need to follow through on all the things that we believe are right for our country."